Most likely you or someone you know has allergies. The telltale itchy, puffy, watery eyes and red, stuffy nose signal changes in the seasons in homes and workplaces across the country. What these people suffer from is allergic rhinitis, or hay fever. The medical name for this condition refers to stuffy and itchy nose, the most common symptom. Hay fever is an allergic reaction. It is your immune system's response to foreign material in the air you breathe. 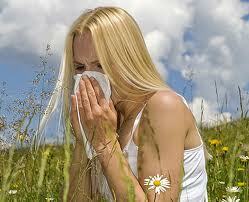 Hay fever usually refers to allergies to outdoor, airborne materials such as pollens and molds. Hay fever, like all allergic reactions, is caused by allergens, foreign “invaders” that enter your body by inhalation, by swallowing, or through your skin. Both Pollen and Mold are usually airborne, making it almost impossible to avoid, and for most hayfever sufferers; it comes and goes as the seasons change. Itching of nose, soft palate, ear canal, eyes and/or skin. The best treatment overall is to avoid contact with your allergen. Since this is rarely possible, you may want to take medication to reduce the symptoms. The treatment of hay fever depends on the severity, symptoms, and consequences of the disease. Vitamin C and bioflavonoids help to improve that part of the immune system concerned with allergies and histamine release; 1000mg daily is recommended during hay fever season. Vitamin A for maintenance of healthy mucous membranes of the nose, throat and eyes. Horseradish & Garlic and Fenugreek help to dry up discharge and relieve hay fever symptoms. You can't prevent hay fever altogether, but you can learn to cope with it. Use air conditioning and limit outside exposure during hay fever season. To keep from bringing your allergy indoors, do what you can to keep your home free of mold and other allergens. 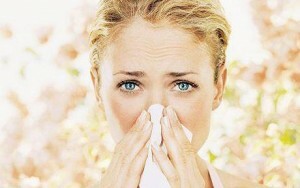 Spring is here but you don’t have to suffer with hayfever. More importantly, you don’t need to live on antihistamine medication. Instead of automatically reaching for medication, consider some of these nutrients as your defence against the dreaded hayfever. Stock up your hay Fever prevention kit with the nutrients that can prevent hayfever and let you enjoy the season. Spring allergies are no fun for anyone – no matter what time of the year they hit you! However recent studies show that with a bit of help from nature, you can sail through the sneezy season with minimum stress. Watery eyes, runny nose, itchy throat… if you’re among the one infive Australians who suffers from seasonal rhinitis (commonly known ashay fever) then read on!